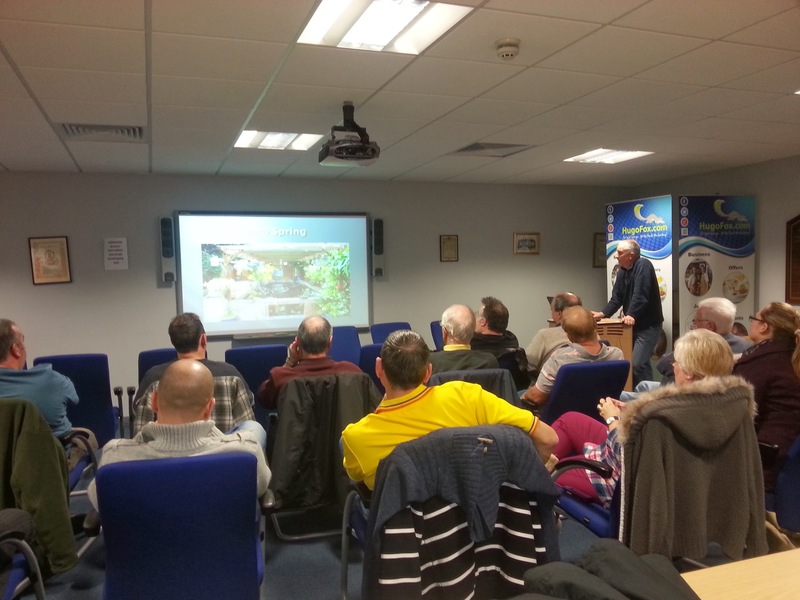 On Wednesday 12 February, Lee Burroughs (aka Tommy2Ponds on the forums and LB Aquatic Consultants http://www.lbaquaticconsultants.co.uk/) provided the club members with a very timely talk on "How to bring your koi out of winter". This talk was very well attended by the club members and it was great to have our highest attendance for a monthly club night. Whilst cleaning our filtration we should also look to have regular 10% weekly water changes. These always seem obviously but can so easily slip out of the normal routine especially during the winter months. As we come out of winter Lee advised three core areas for us to focus on. 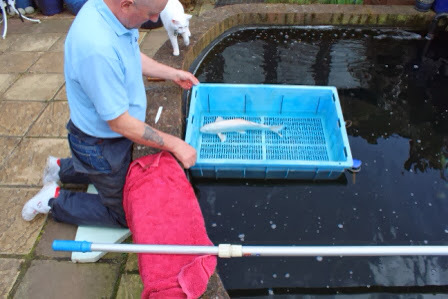 Firstly water tests, secondly ensuring filtration is thoroughly clean and finally scraping our koi (calmly). 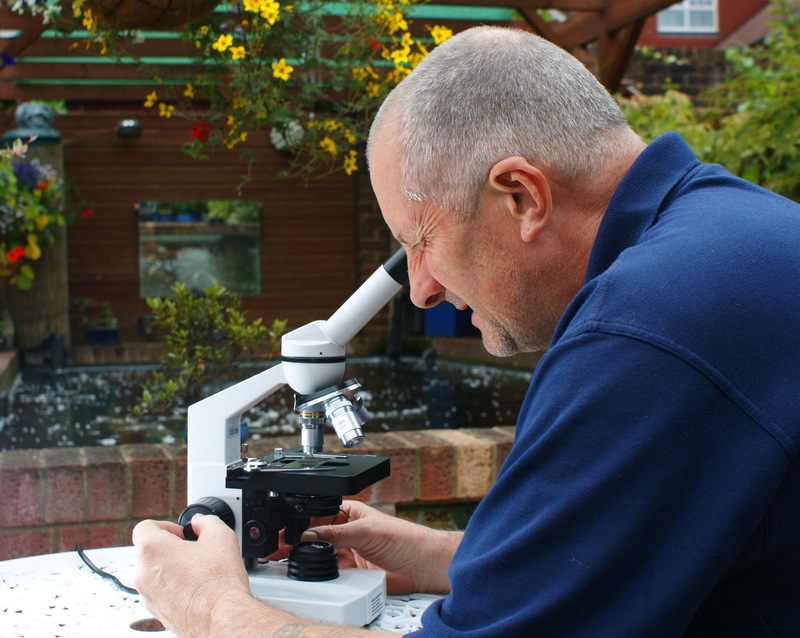 Take pond water samples and perform water tests for ammonia, nitrite, nitrate, PH and KH. Take a sample of water from your the dechlorinated feed and also test this for KH. Compare the KH reading from the pond water and dechlorinated feed. They should be not be significantly different. As a simplistic resolution if water readings are high, perform a larger than normal water change to dilute away the issue and you can also reduce (not stop) feeding to reduce waste. In addition to our regular filtration cleaning cycles it is advised to give a once off thorough clean all those little corners filtration where parasites sit and wait as temperature start to increase. This will ensure we remove any little deposits of muck that don't get flushed out normally where any nasty issues can be waiting. Once we come out of winter the parasites are able to reproduce rapidly before the immune systems of our koi are able to cope. After this cleaning ensure a good 10% water change. One of the most important part of taking scrapes is to keep calm which in Lee's opinion this only comes with practise. The following is a step by step guide to taking these scrapes. Net your koi and place it into the koi holding vat. 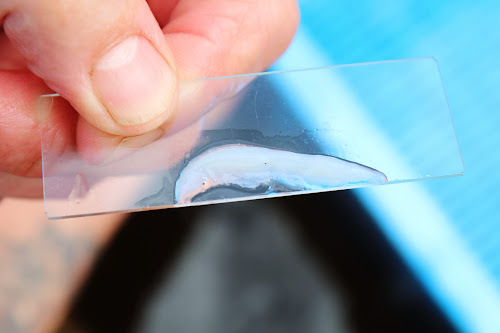 You now need a add a few drops of pond water to the slide to thin out mucus sample. This will allow you to see the parasites easier under the microscope as they move at the edge of the mucus to the added pond water. 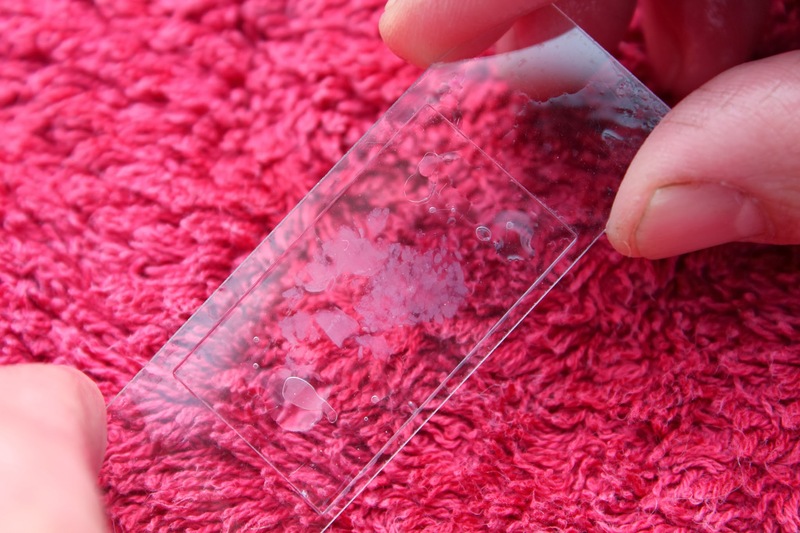 The final step is to look under the microscope through the slide at a magnification of 100 / 200 times. When looking under the microscope makes sure you check the whole slide. To ensure you don't miss parts it was recommended to go from side to side, then down and repeat over the whole slide otherwise you could miss something. 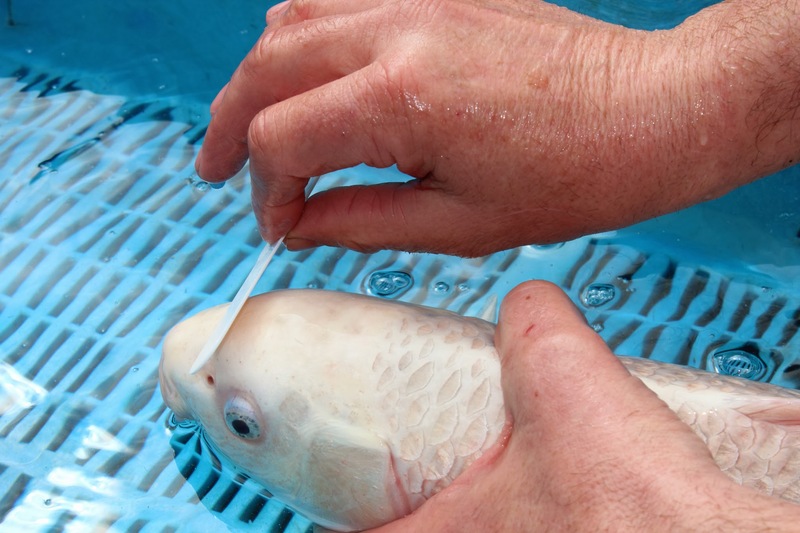 This scraping process should be repeated on at least five koi to ensure you have a good sample from your pond. If you do find something apply the correct treatment at the correct dosage. Lee's talk was very well organised and flowed really smoothly through the topics. I would like to give a personal thank you to Lee for preparing the slides and videos specifically for this talk to our club. A huge thanks from all the members at Kangei and we look to Lee visiting again. Next month (Wednesday 12 March 2014 at 19:45) we have Malcolm Green from Koi Water Gardens (http://www.koicarp.org.uk) providing us with a talk.